Danger and drama among the monarchs. What would you do for absolute power? For many monarchs throughout history, it was a question that ruled their lives. 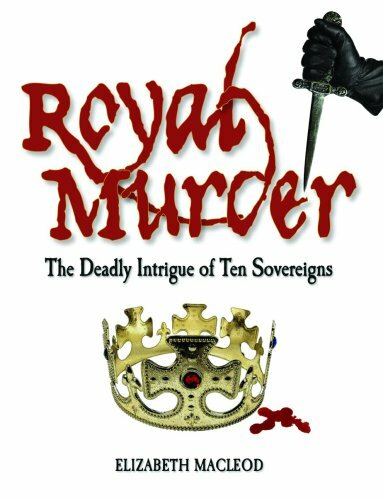 Step into the world of palatial intrigue, where holding the throne means evading death... or causing it. Some sovereigns were cunning at avoiding their killers. Cleopatra of Egypt once rolled herself into a rug and was carried out past her enemies' noses. Other royals were brutal when dealing with foes. VIad the Impaler's monstrous methods inspired the legend of Dracula the vampire. From monarchs murdered at the hands of their subjects to kings killed on the battlefield, the stories of these ten royals are told: Cleopatra of Egypt (69 BCE-30 BCE) VIad III the lmpaler of Wallachia (1431-1476) Richard III of England (1452-1485) "Bloody Mary" 1(1516-1558) Mary, Queen of Scots (1542-1587) Elizabeth I (1533-1603) Louis XVI (1754-1793) Marie Antoinette (1755-1793) Elisabeth of Austria (1837- 1898) The Romanovs of Russia (1872-1918). A final section offers examples from the 20th century -- from assassination attempts in England to a royal massacre in Nepal.